T-Mobile’s aggressive Uncarrier moves have brought about unprecedented change in the wireless industry over the past few years. The company was the first to drop contracts and international roaming data fees as well as introduce early device upgrades and rollover data, often forcing the competition to launch similar programs to keep pace. As a result, T-Mobile has enjoyed an influx of customers that any telecom would love. Slowly but surely, the last place carrier closed the gap on Sprint and today, T-Mobile officially unseated its rival to become the third largest wireless provider in the US. In its most recent quarters, T-Mobile managed to add 2.1 million new subscribers compared to Sprint’s 675,000. With the new additions, John Legere and company now serve 58.9 million subscribers versus the 57.7 million connections that Marcelo Claure’s team enjoys. If the level of growth continues at this pace, T-Mobile is only going to further distance itself from Sprint. It still has a ways to go before it catches up to second place AT&T, however, as it reported 123.9 million subscribers in its most recent earnings report. The outspoken Legere couldn’t pass up the opportunity to boast about the milestone on Twitter. 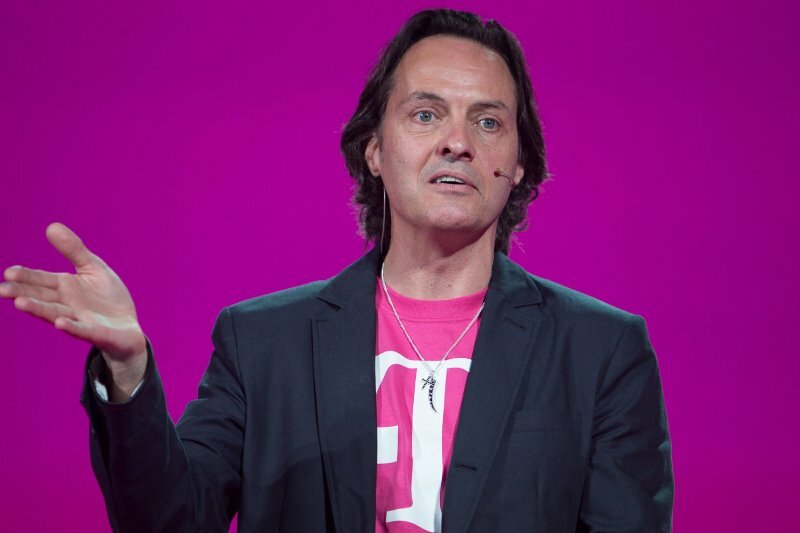 Claure and Legere have traded jabs on Twitter in the past but surprisingly, the Sprint CEO paid respect to Legere and what he has done at T-Mobile.